St. Editha’s was intimately associated with the establishment of Tamworth Cornerstone Housing Association (TCHA) in 1989. 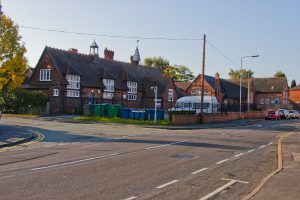 It was set up as a joint venture between the Church, Cornerstone, a Birmingham based Christian charity, and Tamworth Borough Council to provide supported housing for the young homeless in the age range 16-25 years. We now have 33 units of accommodation both bedsits with shared facilities and one bedroomed flats. The work is led by a Management Committee of eight members of which the majority, and the office holders, are members of St. Editha’s congregation. The committee meets once a quarter. In legal terms TCHA is a Registered Social Provider of housing, regulated by the Dept. of Communities and Local Government. This gives us certain advantages as an exempt provider with regard to measures such as the Universal Credit system. There are currently 10 staff managed by a Chief Executive who collectively provide key worker support for the tenants with 24 hour cover. For more information visit TCHA’s website here. The linkage between the church and TCHA is not only close because of the shared mission but because the on-site facilities are also shared. The site houses the Church Hall, Church office, coffee shop and conference room which are all subject to a user agreement and some shared costs. This arrangement has worked well for many years.